An active region of the sun just rotating into the view of NASA's Solar Dynamics Observatory gives a profile view of coronal loops over about a two-day period, from February 8-10, 2014. 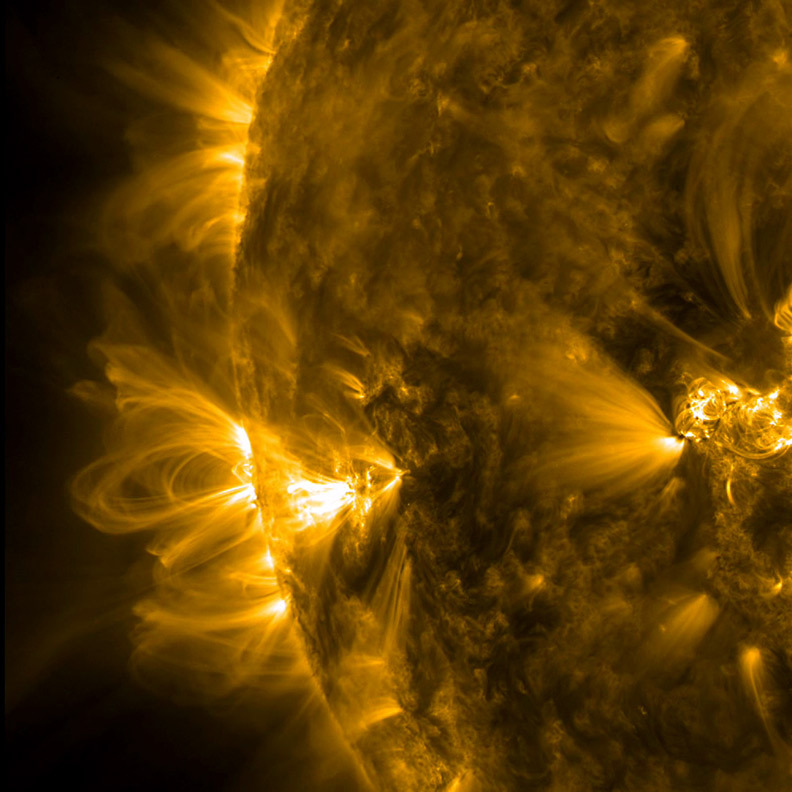 Coronal loops are found around sunspots and in active regions. These structures are associated with the closed magnetic field lines that connect magnetic regions on the solar surface. Many coronal loops last for days or weeks, but most change quite rapidly. This image was taken in extreme ultraviolet light. Sun speech, spitting and soaring!